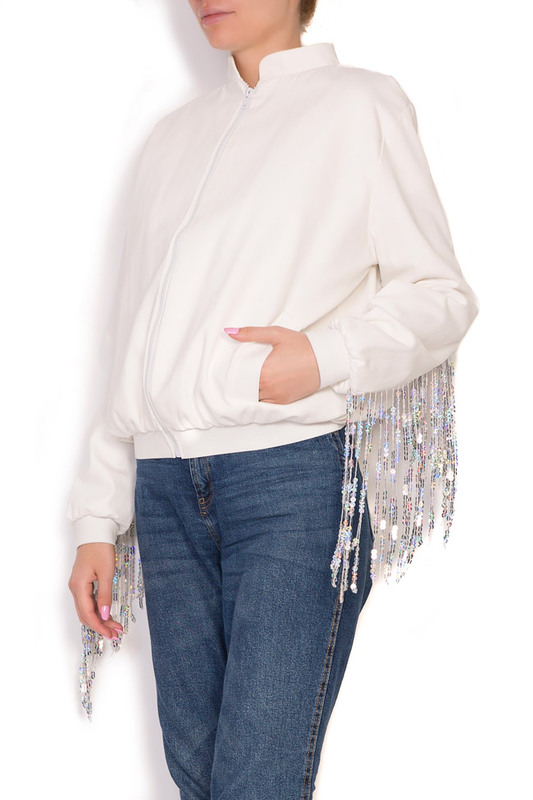 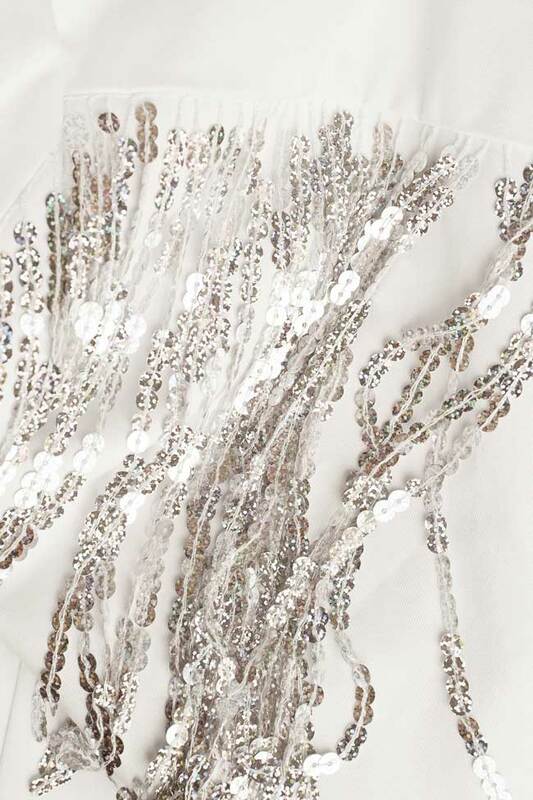 Complete with swishy crystals fringing, Zenon's bomber jacket is crafted from white structured cotton. 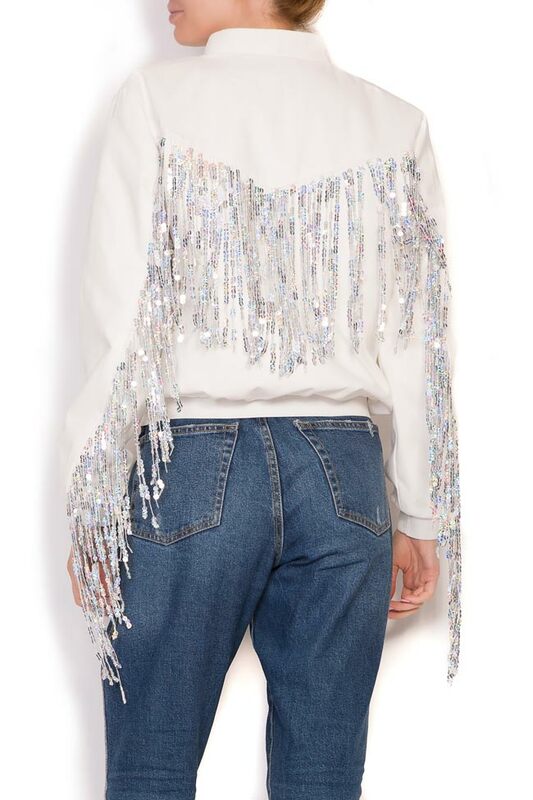 Designed to be worn loose, it has an oversized silhouette that gives it a borrowed-from-the-boys look. 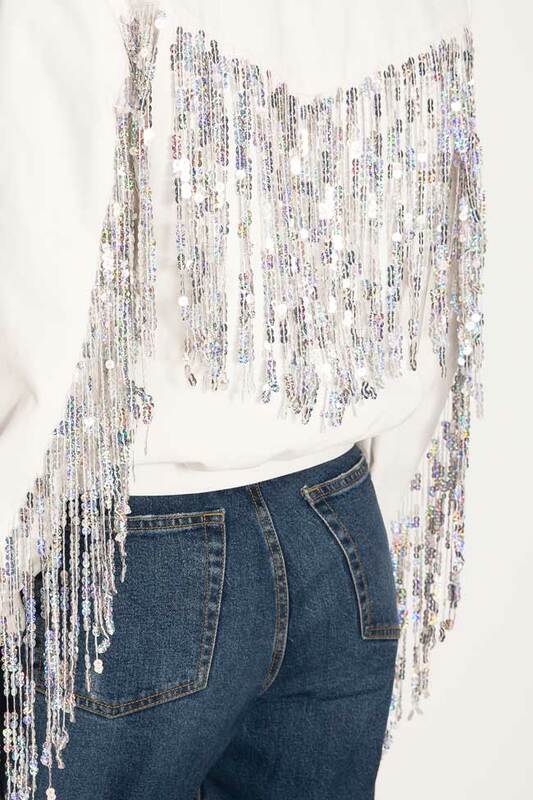 Team yours with denim pants or skirts.